Oh no! It’s nearly Christmas and you’re still not feeling festive, ya big Scrooge! 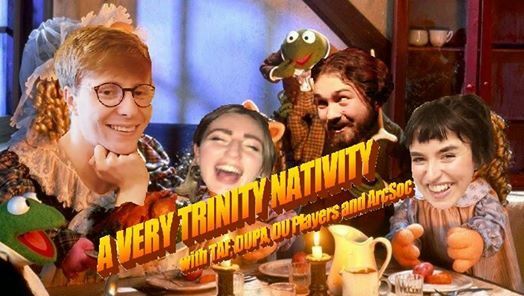 Well prepare to be visited by the three ghosts of Christmas Past (DU Players), Christmas Present (TAF), and Christmas Yet To Come (DUPA), all lead by your old bank partner Jacob Marley (it’s us, it’s ArcSoc. There were four ghosts). Prepare to get your bells jingled, your toe mistled, and your tidings of joy comforted as ArcSoc leads you on an immersive festive walking tour through the streets of Dublin City. 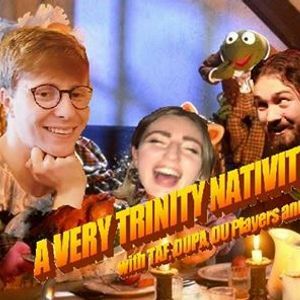 We’ll encounter your favourite historical Christmas figures, like James Joyce, and Countess Markievicz, and maybe Bono comes??? Anything can happen on Christmas! Your favourite photographers DUPA will be on hand to take holiday snaps, and document all the crazy characters we meet along the way! And if that doesn’t just fill you to the brim with holiday cheer, our tour will end in our very own GMB, where all the TAF elves will have transformed the Phil Conversation Room into a regular Winter Wonderland, feat. Christmas Wine, Christmas Cheese, and the Minciest of Pies! It’s the closest you can get to Christmas without being in December! So come one, come all, take a well-deserved break from the library, and get festive with your real family! It’s like the Muppet’s Christmas Carol, but with people!